In economics, productivity is a measure of technological progress. 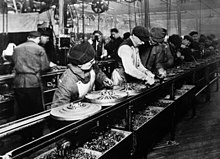 Productivity increases when fewer inputs (classically labor and capital but some measures include energy and materials) are used in the production of a unit of output. Another indicator of technological progress is the development of new products and services, which is necessary to offset unemployment that would otherwise result as labor inputs are reduced. In developed countries productivity growth has been slowing since the late 1970s; however, productivity growth was higher in some economic sectors, such as manufacturing. For example, employment in manufacturing in the United States declined from over 30% in the 1940s to just over 10% 70 years later. Similar changes occurred in other developed countries. This stage is referred to as post-industrial. 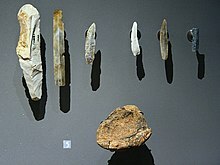 During most of the Paleolithic – the bulk of the Stone Age – all humans had a lifestyle which involved limited tools and few permanent settlements. The first major technologies were tied to survival, hunting, and food preparation. Stone tools and weapons, fire, and clothing were technological developments of major importance during this period. Metallic copper occurs on the surface of weathered copper ore deposits and copper was used before copper smelting was known. Copper smelting is believed to have originated when the technology of pottery kilns allowed sufficiently high temperatures. The concentration of various elements such as arsenic increase with depth in copper ore deposits and smelting of these ores yields arsenical bronze, which can be sufficiently work hardened to be suitable for making tools. Bronze is an alloy of copper with tin; the latter being found in relatively few deposits globally caused a long time to elapse before true tin bronze to became widespread. 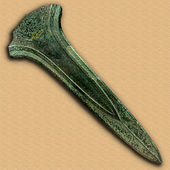 (See: Tin sources and trade in ancient times) Bronze was a major advance over stone as a material for making tools, both because of its mechanical properties like strength and ductility and because it could be cast in molds to make intricately shaped objects. Before iron smelting was developed the only iron was obtained from meteorites and is usually identified by having nickel content. Meteoric iron was rare and valuable, but was sometimes used to make tools and other implements, such as fish hooks. 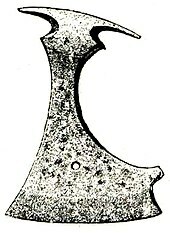 The Iron age involved the adoption of iron smelting technology. It generally replaced bronze and made it possible to produce tools which were stronger, lighter and cheaper to make than bronze equivalents. The raw materials to make iron, such as ore and limestone, are far more abundant than copper and especially tin ores. Consequently, iron was produced in many areas. In Europe, large hill forts were built either as a refuge in time of war or sometimes as permanent settlements. In some cases, existing forts from the Bronze Age were expanded and enlarged. 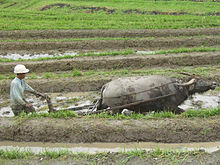 The pace of land clearance using the more effective iron axes increased, providing more farmland to support the growing population. The Chinese made many first-known discoveries and developments. Major technological contributions from China include early seismological detectors, matches, paper, Helicopter rotor, Raised-relief map, the double-action piston pump, cast iron, water powered blast furnace bellows, the iron plough, the multi-tube seed drill, the wheelbarrow, the parachute, the compass, the rudder, the crossbow, the South Pointing Chariot and gunpowder. China also developed deep well drilling, which they used to extract brine for making salt. Some of these wells, which were as deep as 900 meters, produced natural gas which was used for evaporating brine. Greek and Hellenistic engineers were responsible for many inventions and improvements to existing technology. The Hellenistic period, in particular, saw a sharp increase in technological advancement, fostered by a climate of openness to new ideas, the blossoming of a mechanistic philosophy, and the establishment of the Library of Alexandria and its close association with the adjacent museion. In contrast to the typically anonymous inventors of earlier ages, ingenious minds such as Archimedes, Philo of Byzantium, Heron, Ctesibius, and Archytas remain known by name to posterity. 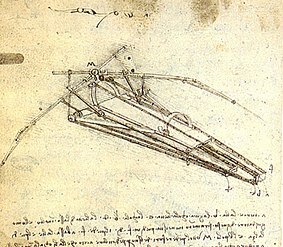 In other fields, ancient Greek inventions include the catapult and the gastraphetes crossbow in warfare, hollow bronze-casting in metallurgy, the dioptra for surveying, in infrastructure the lighthouse, central heating, the tunnel excavated from both ends by scientific calculations, the ship trackway, and plumbing. In horizontal, vertical and transport, great progress resulted from the invention of the crane, the winch and the odometer. Though the Maya civilization did not incorporate metallurgy or wheel technology in their architectural constructions, they developed complex writing and astronomical systems, and created beautiful sculptural works in stone and flint. Like the Inca, the Maya also had command of fairly advanced agricultural and construction technology. The Maya are also responsible for creating the first pressurized water system in Mesoamerica, located in the Maya site of Palenque. The main contribution of the Aztec rule was a system of communications between the conquered cities and the ubiquity of the ingenious agricultural technology of chinampas. In Mesoamerica, without draft animals for transport (nor, as a result, wheeled vehicles), the roads were designed for travel on foot, just as in the Inca and Mayan civilizations. The Aztec, subsequently to the Maya, inherited many of the technologies and intellectual advancements of their predecessors: the Olmec (see Native American inventions and innovations). 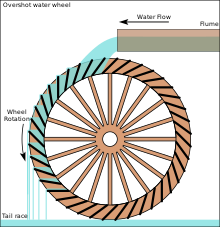 One of the most significant development of the Medieval era was the development of economies where water and wind power were more significant than animal and human muscle power. :38 Most water and wind power was used for milling grain. Water power was also used for blowing air in blast furnace, pulping rags for paper making and for felting wool. The Domesday Book recorded 5,624 water mills in Great Britain in 1086, being about one per thirty families. While medieval technology has been long depicted as a step backwards in the evolution of Western technology, sometimes willfully so by modern authors intent on denouncing the church as antagonistic to scientific progress (see e.g. Myth of the Flat Earth), a generation of medievalists around the American historian of science Lynn White stressed from the 1940s onwards the innovative character of many medieval techniques. Genuine medieval contributions include for example mechanical clocks, spectacles and vertical windmills. Medieval ingenuity was also displayed in the invention of seemingly inconspicuous items like the watermark or the functional button. In navigation, the foundation to the subsequent age of exploration was laid by the introduction of pintle-and-gudgeon rudders, lateen sails, the dry compass, the horseshoe and the astrolabe. Significant advances were also made in military technology with the development of plate armour, steel crossbows and cannon. The Middle Ages are perhaps best known for their architectural heritage: While the invention of the rib vault and pointed arch gave rise to the high rising Gothic style, the ubiquitous medieval fortifications gave the era the almost proverbial title of the 'age of castles'. Papermaking, a 2nd-century Chinese technology, was carried to the Middle East when a group of Chinese papermakers were captured in the 8th century. Papermaking technology was spread to Europe by the Umayyad conquest of Hispania. A paper mill was established in Sicily in the 12th century. In Europe the fiber to make pulp for making paper was obtained from linen and cotton rags. Lynn Townsend White Jr. credited the spinning wheel with increasing the supply of rags, which led to cheap paper, which was a factor in the development of printing. A standard reference for the state of mechanical arts during the Renaissance is given in the mining engineering treatise De re metallica (1556), which also contains sections on geology, mining and chemistry. De re metallica was the standard chemistry reference for the next 180 years. 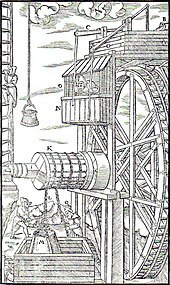 Among the water powered mechanical devices in use were ore stamping mills, forge hammers, blast bellows, and suction pumps. Due to the casting of cannon, the blast furnace came into widespread use in France in the mid 15th century. The blast furnace had been used in China since the 4th century BC. The invention of the movable cast metal type printing press, whose pressing mechanism was adapted from an olive screw press, (c. 1441) lead to a tremendous increase in the number of books and the number of titles published. Movable ceramic type had been used in China for a few centuries and woodblock printing dated back even further. The revolution was driven by cheap energy in the form of coal, produced in ever-increasing amounts from the abundant resources of Britain. The British Industrial Revolution is characterized by developments in the areas of textile machinery, mining, metallurgy and transport the steam engine and the invention of machine tools. Before invention of machinery to spin yarn and weave cloth, spinning was done using the spinning wheel and weaving was done on a hand and foot operated loom. It took from three to five spinners to supply one weaver. The invention of the flying shuttle in 1733 doubled the output of a weaver, creating a shortage of spinners. The spinning frame for wool was invented in 1738. The spinning jenny, invented in 1764, was a machine that used multiple spinning wheels; however, it produced low quality thread. 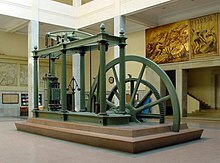 The water frame patented by Richard Arkwright in 1767, produced a better quality thread than the spinning jenny. The spinning mule, patented in 1779 by Samuel Crompton, produced a high quality thread. The power loom was invented by Edmund Cartwright in 1787. In the mid 1750s the steam engine was applied to the water power-constrained iron, copper and lead industries for powering blast bellows. These industries were located near the mines, some of which were using steam engines for mine pumping. Steam engines were too powerful for leather bellows, so cast iron blowing cylinders were developed in 1768. Steam powered blast furnaces achieved higher temperatures, allowing the use of more lime in iron blast furnace feed. (Lime rich slag was not free-flowing at the previously used temperatures.) With a sufficient lime ratio, sulfur from coal or coke fuel reacts with the slag so that the sulfur does not contaminate the iron. Coal and coke were cheaper and more abundant fuel. 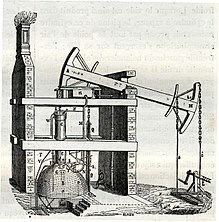 As a result, iron production rose significantly during the last decades of the 18th century. Coal converted to coke fueled higher temperature blast furnaces and produced cast iron in much larger amounts than before, allowing the creation of a range of structures such as The Iron Bridge. Cheap coal meant that industry was no longer constrained by water resources driving the mills, although it continued as a valuable source of power. The steam engine helped drain the mines, so more coal reserves could be accessed, and the output of coal increased. The development of the high-pressure steam engine made locomotives possible, and a transport revolution followed. The steam engine which had existed since the early 18th century, was practically applied to both steamboat and railway transportation. 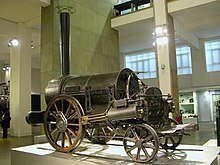 The Liverpool and Manchester Railway, the first purpose built railway line, opened in 1830, the Rocket locomotive of Robert Stephenson being one of its first working locomotives used. Steam-powered factories became widespread, although the conversion from water power to steam occurred in England earlier than in the U.S. Ironclad warships were found in battle starting in the 1860s, and played a role in the opening of Japan and China to trade with the West. New spaceflight technology and spacecraft are also being developed, like the Orion and Dragon. New, more capable space telescopes, such as the James Webb Telescope, to be launched to orbit in early 2021, and the Colossus Telescope are being designed. 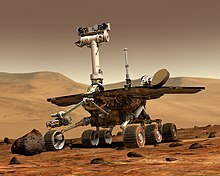 The International Space Station was completed in the 2000s, and NASA and ESA plan a manned mission to Mars in the 2030s. The Variable Specific Impulse Magnetoplasma Rocket (VASIMR) is an electro-magnetic thruster for spacecraft propulsion and is expected to be tested in 2015. ^ "history of technology – Summary & Facts". Retrieved 22 January 2018. ^ Knight, Elliot; Smith, Karen. "American Materialism". The University of Alabama – Department of Anthropology. Retrieved 9 April 2015. ^ "Human Ancestors Hall: Homo sapiens". Smithsonian Institution. Retrieved 8 December 2007. ^ "Ancient 'tool factory' uncovered". BBC News. 6 May 1999. Retrieved 18 February 2007. ^ a b Burke, Ariane. "Archaeology". Encyclopedia Americana. Archived from the original on 21 May 2008. Retrieved 17 May 2008. ^ Plummer, Thomas (2004). "Flaked Stones and Old Bones: Biological and Cultural Evolution at the Dawn of Technology" (47). Yearbook of Physical Anthropology. ^ Haviland, William A. (2004). Cultural Anthropology: The Human Challenge. The Thomson Corporation. p. 77. ISBN 978-0-534-62487-3. ^ Lovgren, Stefan. "Ancient Tools Unearthed in Siberian Arctic". National Geographic News. National Geographic. Retrieved 7 April 2015. ^ Oleson, John Peter Oleson (2000). "Water-Lifting". In Wikander, Örjan (ed.). Handbook of Ancient Water Technology. Technology and Change in History. 2. Leiden. pp. 217–302. ISBN 978-90-04-11123-3. ^ "Ancient Mayans Likely Had Fountains and Toilets". Live Science. December 23, 2009. ^ "Timeline: 8th century". Oxford reference. HistoryWorld. doi:10.1093/acref/9780191735516.timeline.0001 (inactive 2018-11-30). Retrieved 9 April 2015. ^ de Safita, Neathery (July 2002). "A Brief History Of Paper". Retrieved 9 April 2015. ^ Marchetti, Cesare (1978). "A Postmortem Technology Assessment of the Spinning Wheel: The Last 1000 Years, Technological Forecasting and Social Change, 13; pp. 91–93" (PDF). ^ a b Ayres, Robert (1989). "Technological Transformations and Long Waves" (PDF). ^ Griffin, Emma. "'The Mechanical Age': technology, innovation and industrialisation". Short History of the British Industrial Revolution. Palgrave. Retrieved 6 February 2013. 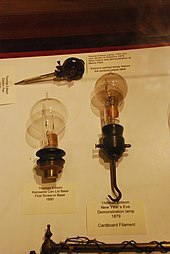 ^ "Top 10 Greatest Inventions of the 19th Century". Toptenz.net. 2010-08-09. Retrieved 2017-10-04. ^ "Two Billion People Gain Electricity Access: 1970–2010". www.energyfordevelopment.com. Retrieved 22 January 2018. ^ "Greatest Engineering Achievements of the 20th Century". greatachievements.org. Retrieved 7 April 2015. ^ "World's Largest Science Experiment comes to Northern Ireland". Science & Technology Facilities Council. Archived from the original on 13 April 2015. Retrieved 9 April 2015. ^ "DNA Is Not Destiny: The New Science of Epigenetics". DiscoverMagazine.com. Retrieved 22 January 2018. ^ "Breakthrough Initiatives". breakthroughinitiatives.org. Retrieved 22 January 2018.